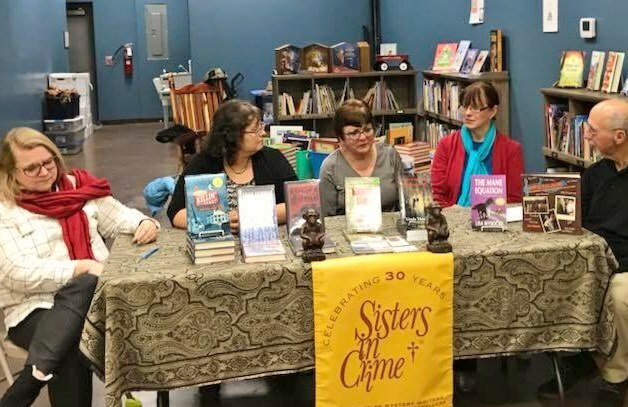 Earlier this month I was honored to be part of a panel of local Sisters in Crime authors at Words of Wisdom (WOW) bookstore in Hermitage, Tennessee. It was an especially cold December evening with shops lit up with Christmas lights and decorations for the Holiday. The owners live-streamed the event on their Facebook page while we talked to the audience. I sold every book I had in the store. My local Sisters (& Misters) in Crime chapter has been celebrating the national organization's 30th anniversary for most of 2017. Robert (Bob) Mangeot is our president and he introduced us and discussed the advantages of belonging to Sisters in Crime. 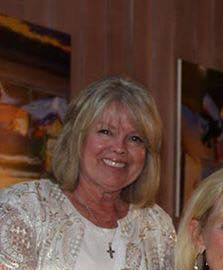 Since I started with the local Nashville area chapter in early 2008, we've had two male presidents. Although the organization started out thirty years ago with female members, that changed quickly. The organization has a large number of misters in crime nationwide. The monthly meetings at most local chapters offer a variety of events; guest speakers like gun experts, detectives, other authors. 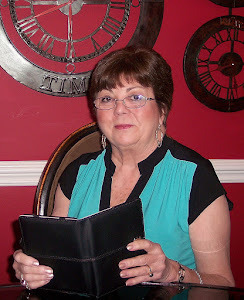 At our Middle Tennessee chapter of Sisters in Crime, we have an occasional meeting where our local expert reviewer, Lynette Ingram, will review and analyze a book we've all read. There are lots of field trips too. I don't know about the rest of you, but as the year draws to an end I look back on the biggest events of my year. In April my human resources job of nine years was suddenly eliminated by new owners in a restructuring. I had mixed emotions on returning to work because I'd wanted to spend more time on writing and writing events. I ended up returning to my career in human resources at another job four months after the layoff. For me, this just felt right. What will you remember the most from 2017? No, this isn't a post about alternative lifestyles or somewhat esoteric sexual games. This is about something much more difficult - molding a scientific-minded, very military husband into a writer's assistant. Retired from the Navy several years ago (after 32 years service - I am so proud of him!) and facing not-too-distant retirement from his civilian job, The Husband mused one day about what he would do after complete retirement. He is not the type to just sit around and vegetate! Never expecting any real response, I laughingly suggested he become my assistant and do my publicity - which I hate - and give me more time to write. When he agreed, I almost fainted from pure surprise. A bit of backstory. The Husband and I married late, and it was indeed a mixed marriage. His family is definitely science-oriented; mine (mostly gone now) was firmly in the words camp. I don't think he had ever met a writer before, and for years his family regarded having a writer in the family as sort of akin to having some sort of exotic alien species around. (I must say they are wonderful and loving, and I am blessed to have them, but my kind was indeed an unknown quantity to them.) Over time, however, The Husband began to enjoy the role of 'the writer's husband.' My work got us into a lot of interesting places that 'normal' people never get to know, and he began to get involved. Now he was offering to become my assistant! A man who doesn't read novels, other than an occasional offering from Bob Mayer or Dale Brown or WEB Griffin - all military-themed writers. Until we started this recent exercise I don't think he had read more than one of my books. I'm still not sure he has! Having been in this business for close to four decades (aaaugh!) I find that so much of it is nearly instinctual. I didn't realized how much information there was to learn from a standing start until I started to teach him. So far he's doing pretty well, though he spends a lot of time being appalled at the illogicities of this business. (For that matter, so do I.) As if giving a blessing to this odd career change, my beloved Novelists Inc. had recently opened its conference (the best in the writing world, in my opinion) to include authors' assistants. Some are professionals, some are family members, but all want to know how to help 'their' authors as best they can. As The Husband is still working a full-time job, he's not quite up to full speed on the assistant thing yet. 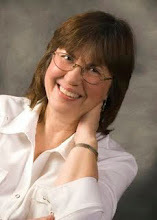 I am trying to get publicity packages and excerpts on all my books (no small job!) done and set up a publicity release schedule that is almost foolproof because right now those chores are beyond him. That's no small job, either, but once they're done the process will be easy and almost self-perpetuating. At least, that's the hope! So what's it like giving 'orders' (always couched as suggestions or requests, of course) to a very much accustomed-to-command ex-Navy captain? Interesting. Sometimes very interesting. Luckily The Husband is as invested in my career as I am and most of the time seems to actually enjoy the learning process. My fingers are crossed that this will continue. Right now with the teaching and preparing my writing is suffering, but I hope that will be only temporary - once the machine really gets into gear it should free me up considerably. So - I know that not all husbands/daughters/sons/second cousins/whoever are assistant material, but some could be. And, of course, there are always the professionals - but be very sure you vet them thoroughly. Some are very good, some are adequate, and some are nightmares. During a late-night informal chat session at the last NINC conference the conversation turned to what everyone paid their assistants. Some hired by the hour or had monthly contracts or some such. Of course, I had to be different and without intending to I almost ended the session. My answer? "I sleep with mine." This has nothing to do with mysteries, but I felt like sharing a Christmas memory in the spirit of the season. Years ago I belonged to a sorority that mainly focused on fun, which was all right, but I had a sense that we ought to be doing some good too. 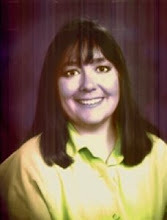 At that time I taught at a preschool for children with developmental disabilities. 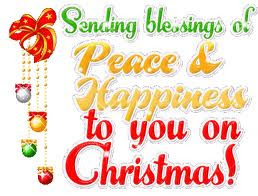 One day I heard one of the therapists tell about a family that wouldn't have any Christmas at all. The father was out of work and they had no money for gifts. I found out that there were three kids, learned the names and sizes, and was given their address. When I told my sorority sisters about the family, they all wanted to help. Together, we purchased and wrapped gifts for the whole family including the parents. We bought a small Christmas tree and decorations for it, along with all the ingredients for a holiday meal. Two of my fellow sorority sisters and I loaded my station wagon with everything and headed for the address, which was an upstairs apartment in a low-income housing project. We parked, and a young man working on a car asked if we needed some help. We told him what address we were looking for, and he said, "That's where I live." I said, "Good, maybe you can give us a hand taking all this stuff upstairs." He appeared puzzled, but agreed and we got everything into the apartment. Believe me, it was a lot. His wife and the kids had bewildered looks on their faces. The man said, "Wait. Who did this come from?" I said, "You have heard of Santa Claus, haven't you?" And we left, giggling all the way down the stairs." I've never had so much fun. It was a great way to spread Christmas joy. Anyone else have a great Christmas memory to share? Though I've always loved Christmas, I don't do near what I used to do in preparation. 2. 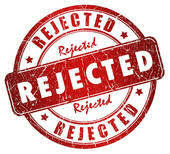 Our income was cut drastically when the VA decided hubby was no longer 100% disabled, and the 40% disability they agreed upon they are now deducting from his retirement, so in reality, he's not getting any disability. And no, as a writer, I don't make enough money to supplement. We're doing okay, but because we wisely saved, but spending it on gifts wouldn't be smart. Enough of that. No tree either, but I did decorate with the help of my great-granddaughters, 3 and 5. That was fun. I attended the San Joaquin Sisters in Crime chapter's Christmas party, and that was enjoyable and I got to see friends I hadn't seen for awhile. I also volunteered to do a program in May--I have a great topic. Oh, and I brought a book to show and sold it. I have yet to address Christmas cards--except one, because I received one. I know many authors send cards to their fans, but I've never done that. We plan to host Christmas Eve dinner like we usually do--I've ordered the honey baked ham. Only a small portion of our family lives close enough to attend, but they will fill our house. Another thing I didn't do is participate in any holiday events. My favorite one didn't happen, and the others were outside and I don't put up a tent and haul a table around anymore. There is always next year. So how am I going to turn this around to focus on mystery? I am still working on my Rocky Bluff P.D. mystery, though it's going well, I haven't had much writing time. 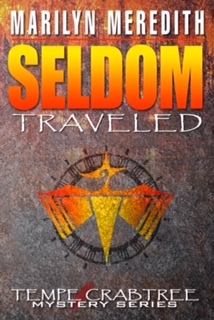 In the meantime, I did a giveaway of one of my Deputy Tempe Crabtree mysteries, Seldom Traveled. It's one of my favorites for several reasons. Publishing is frustrating. No matter how much – or how little – success you’ve had, parts of it will always be out of your control. But the writing is completely in your control. And for me, I try to keep the two as separate as possible. I still think of creating the books as something fun I’m doing for myself, and the publishing and marketing side as a job. Obviously, they have to overlap, but the more I can keep them separate (I even write in a different place than I do marketing and other publishing work), the more I keep the joy in the writing process. Before I was published, I used a lot of methods to keep myself motivated while I waited for “the call.” First, I surrounded myself with people who really understood what it meant to be a career-oriented writer, because they were doing it too. I met up with a critique partner at a coffee shop one evening a week, every week (which meant that no matter what else was going on in my life, for those hours, I was always writing). I joined writers organizations, especially local ones, where I could sit for a few hours a month soaking up industry and craft knowledge, and sharing frustrations and excitements of the business (seeing other people succeed reminds you that you can do it too!). Secondly, I focused on methods that kept me writing. I set goals every week with my critique partner (that accountability is important) and the two of us also set rewards for meeting those goals (it’s amazing what I’ll do for chocolate or a spa trip). I set aside a regular writing time that I tried to stick to, because then it becomes habit and that’s important too. If I ever couldn’t write in that time, I edited, because at least then I was still moving forward. 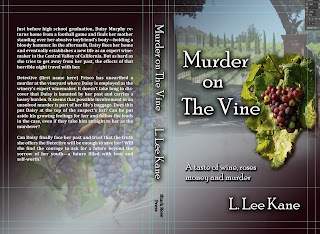 Linda L. Kane MA in Education, PPS, School Psychologist, and Learning Disability Specialist, is the author of The Black Madonna, Chilled to the Bones, and Murder on the Vine, A Daisy Murphy Mystery. 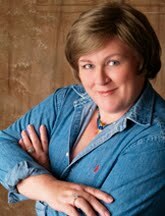 She lives with her husband, three dogs, one bird, and six horses in California.